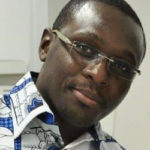 Dr Hervé Lawin is an occupational and environmental physician at the EcoHealth Chair of the University of Abomey Calavi in the Republic of Benin (West Africa). This chair is implementing a program that involves four West African countries on both indoor and outdoor air pollution under an International Development Research Center (IDRC, Canada) funding. Dr Lawin was also a MECOR graduate and has joined the PATS MECOR faculty 3 years ago. His PhD study is on the effect of occupational exposure to air pollution in commercial motorcyclists. He conducted the Burden of Lung Diseases (BOLD) study in Benin. His research interest is on air pollution, Asthma and COPD in both workers and general population. He is also interested in air pollution biomarker validation and in translational research to reduce burden of non-communicable chronic respiratory diseases (NCD-R) in Africa.